This definitely was my favorite to create. The avocado mousse was so light and airy. 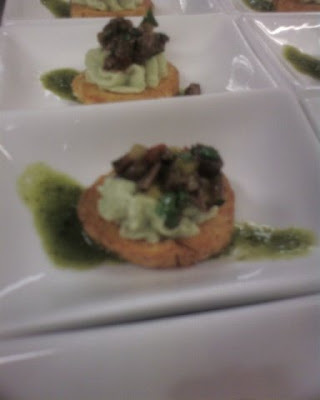 It was served with spicy chopped steak on a fried plantain ring finished off with Lime infused Chimichurri Sauce (The sauce created by wonderful Chef Micheal Gilligan).